Matter as such is always defined by the point of view, but what if the body of the viewer is no longer only one? Ecological communities of microorganisms such as bacteria, fungi and archaea that constitute the microbiome of human bodies indicate the plurality of human body that can no longer be seen as one but as many, as multiple. Multiplicity of body does not act as one, each biological entity has it’s own role that is enacted in collaboration with others or on it’s own. Enactment defines and activates entities needed for completing the act that environment calls for. At that moment the body emerges in intra-acting with the environment, at that moment the body becomes and is perceived as one, however it’s entities are always multiple and never the same in the next intra-act. Oneness of the body as such emerges only in the specific spacetime, where it intra-acts and than dissolves into multiplicity that awaits it’s new becoming. 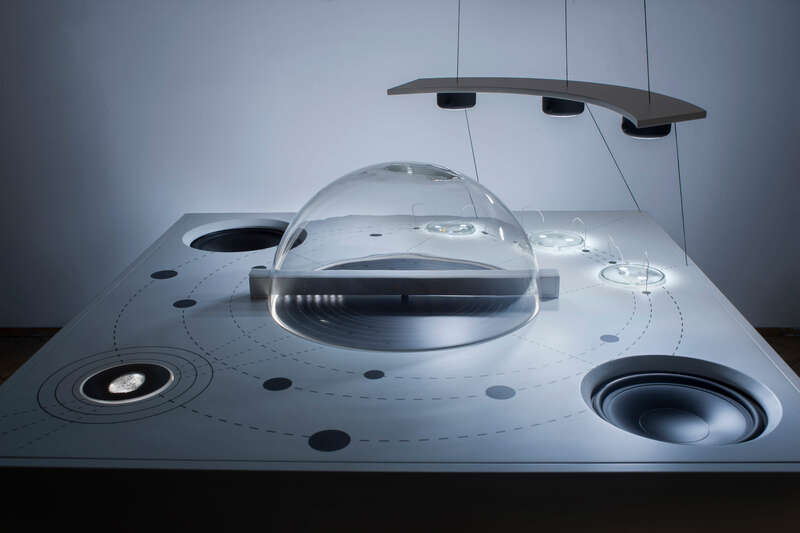 Mycophone_unison in the spacetime of multiplicities serves as a navigation tool. 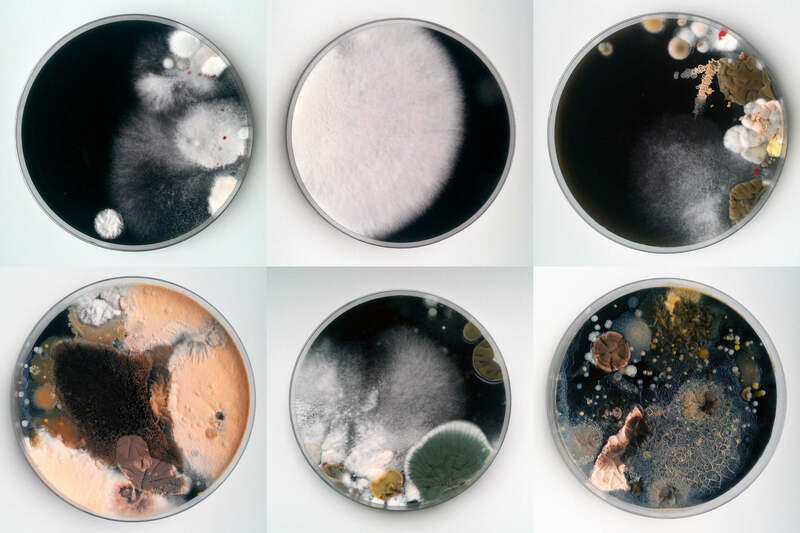 A sound map of intra-action between three microbiomes of the bodies of it’s authors and the viewer. By pressing the fingerprint the viewer sends a signal to the map that processes it through the central celestial plate to the microbiomes that modulate it as a sound of unison. The multiplicities of the authors are heard as one for one brief moment in the here and now.